Art Announcement from Australia. Published by MAY SPACE on Thursday 18 June 2015. 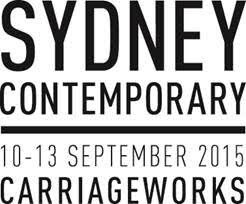 We are delighted to announce that we will be participating in Sydney Contemporary at Carriageworks in September, with new paintings by James Guppy. Elysian cumulus clouds, sunlit with bronze and ivory hues, become the battleground for brawling businessmen in the theatrical and often humorous paintings in Guppy’s new series, In Flagrante Delicto. Oblivious to their surroundings, these men are portrayed as contemporary conquerors with combative spirits and selfish intentions. Guppy’s upcoming solo show will be shown simultaneously at Sydney Contemporary and at the Gallery in Danks Street. Sign up here to receive an email preview of James Guppy’s new body of work.